Zotac’s AMP! edition hones the GTX 1080 Ti’s already sharp edge. While AMD focuses on fleshing out the budget-friendly GPU category, Nvidia continues to push top-end performance to new levels. The GTX 1080 Ti, starting at $680, packs in a whopping 11GB of memory, 3,584 CUDA cores, and a massive 250-watt power draw. 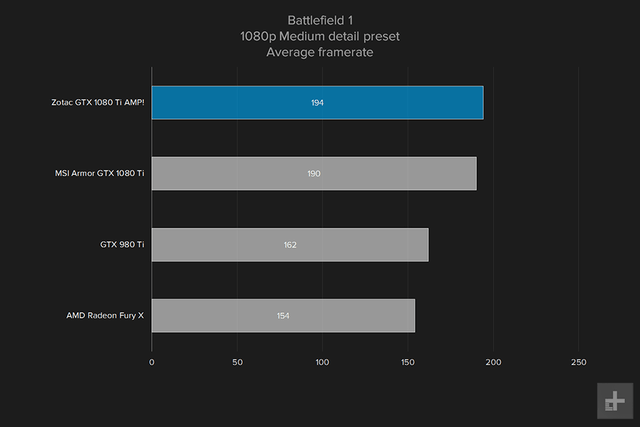 But that’s just the beginning of what the GTX 1080 Ti can offer. Nvidia’s hardware partners produce their own takes on the GPU, such as Zotac’s GTX 1080 Ti AMP! Edition. Its price generally hover around $720, though it can dip as low as $700, depending on the retailer and any applicable sales. It includes a full backplate, decent overclock, and an open-air cooler with a double set of large fans. It competes directly with the likes of the MSI Armor GTX 1080 Ti we previously reviewed, which generally sells for $700 – along with a dozen other cards from various manufacturers. Most users simply don’t need that sort of roof-shattering performance, but for those who do, a GTX 1080 Ti is the only option. Does Zotac’s GTX 1080 Ti AMP! Edition stand out from the crowd, or are there better offerings in the GTX 1080 Ti family? This wasn’t the first chance we’ve had to spend time with Nvidia’s highest-end offering. The MSI Armor GTX 1080 Ti we reviewed previously set the bar high for performance, and kept quiet doing it, but its cooler provided less coverage, which didn’t do the oversized PCB any favors. Be sure to swing over to our review for that card for more information on the GTX 1080 Ti in general, as well as its place within the larger Nvidia ecosystem. 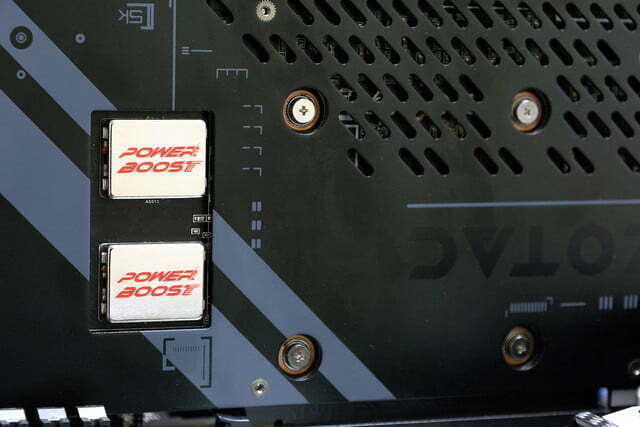 Zotac sets the AMP! edition card apart with several special features. 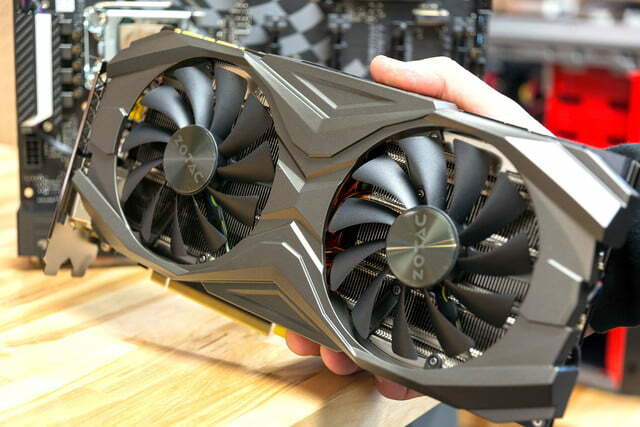 The cooler is Zotac’s own Ice Storm open fan design, with two generously sized fans fitted into a shapely, dark grey and black housing, not unlike MSI’s GTX 1080 Ti. It’s an attractive option that looks right at home alongside similarly high-end components. 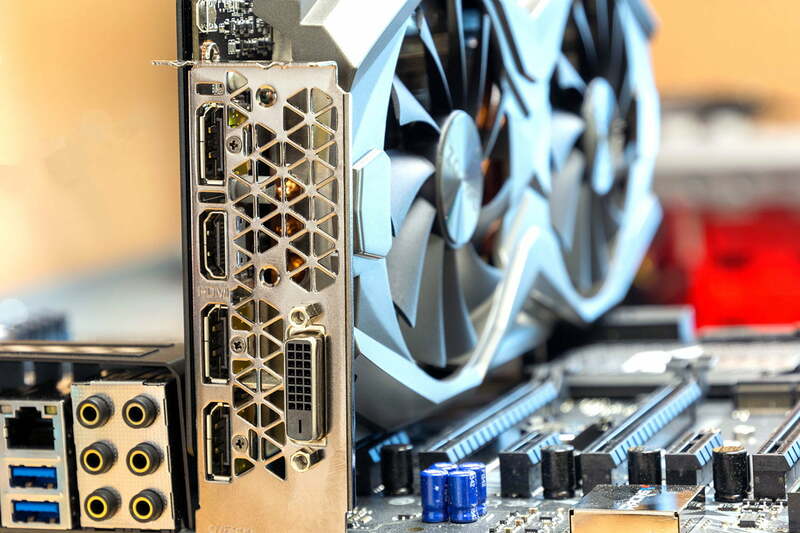 It’s on the large side, which we also saw with MSI’s GTX 1080 Ti, extending well past the standard PCB bracket — an increasingly common trend for non-reference cards. 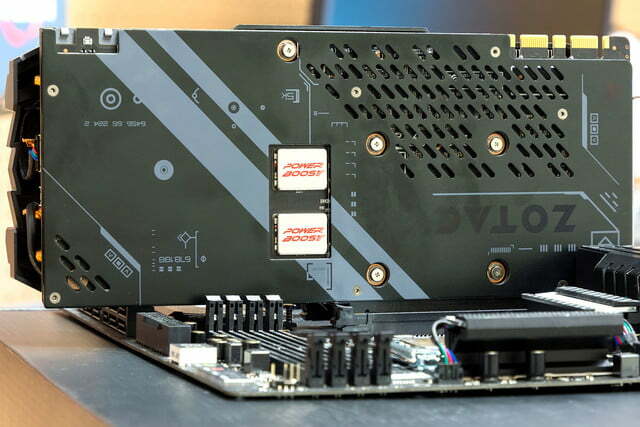 That’s not the only thing Zotac has seen fit to add to the GTX 1080 Ti, as it also has an attractive metal backplate spanning the length of the card. Under the hood, the GTX 1080 Ti has been pushed far outside of the Founders Edition’s already-lofty numbers. 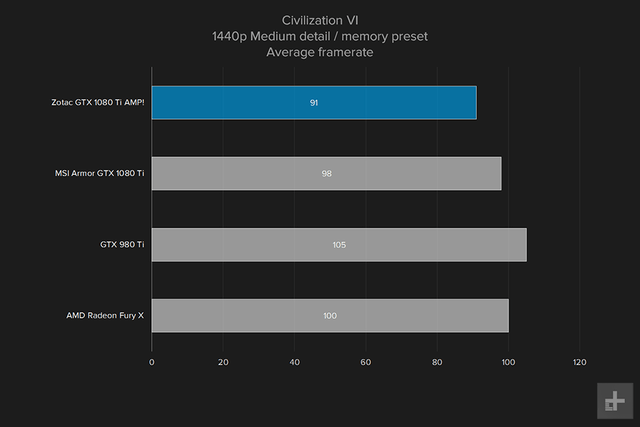 Zotac bumped the base clock from 1,480MHz to 1,569MHz and the boost clock from 1,582MHz to 1,683MHz, a healthy overclock that’s even higher than the $720 MSI Armor GTX 1080 Ti. 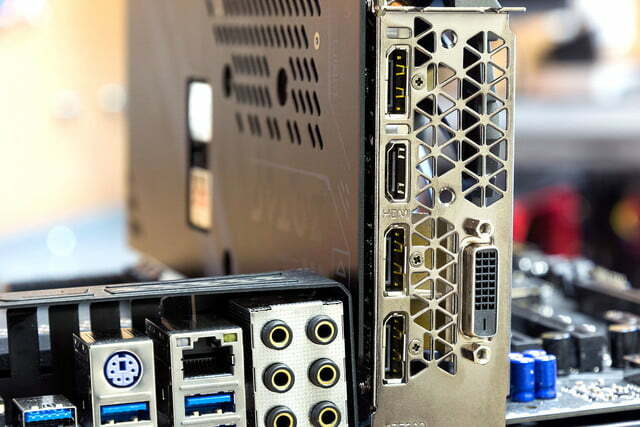 For video outputs, Zotac includes three DisplayPort, one HDMI, and a lone DVI-D, a standard set of connections for any modern GPU. That’s enough ogling the card. It’s time to get into performance specifics. We tested the GTX 1080 AMP! in our high-end test right, with an Intel Core i7-6950X, 16GB of RAM, and an Intel 600 Series SSD. It’s no slouch, and should be a fitting, if slightly overkill setup for the powerful GTX 1080 Ti. 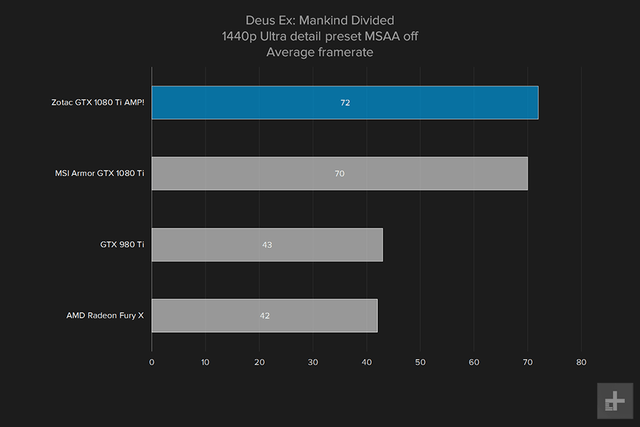 We ran it through a set of 3DMark synthetic benchmarks, as well as real-world gaming tests at 1080p and 1440p, where most users are still playing. 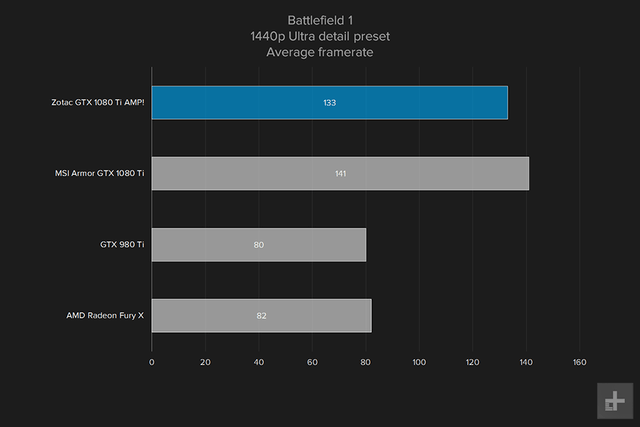 While we’d love to test at 4K, the number of cards capable of anything near smooth gameplay, combined with a lack of gamers playing at the resolution, makes it a bit unfeasible. 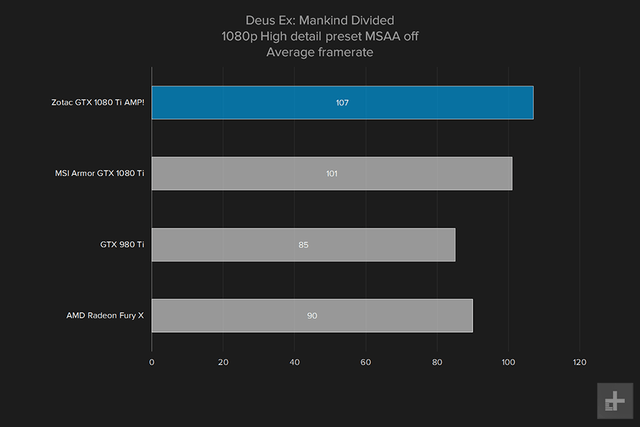 The two GTX 1080 Ti’s tested with just a one point difference between them, which is surprising considering the Zotac’s higher base and boost clock. 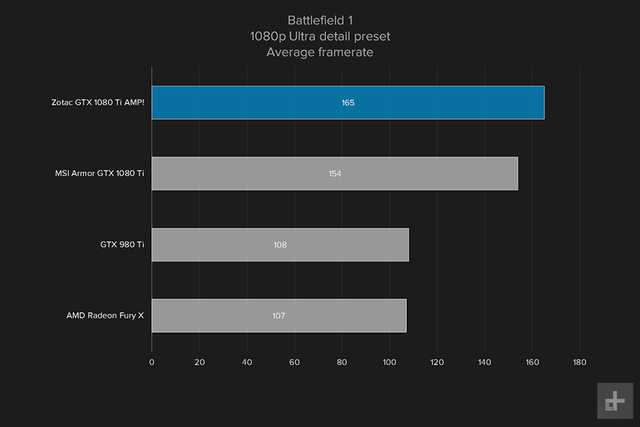 Still, the card produces one of the best single-card scores yet, and should perform accordingly in real gaming tests. While the two GTX 1080 Ti renditions trade blows across our test, the Zotac AMP! 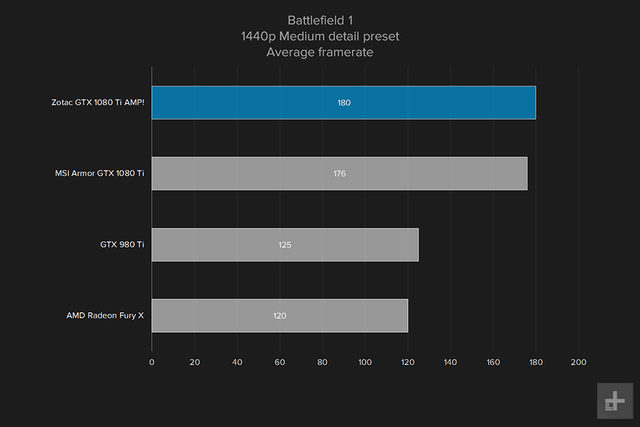 edition generally wins out, if only by a few frames per second on average. We didn’t expect a world of difference between two versions of the same card, and the narrow performance boost we do see helps the Zotac’s case, considering its cheaper price point. 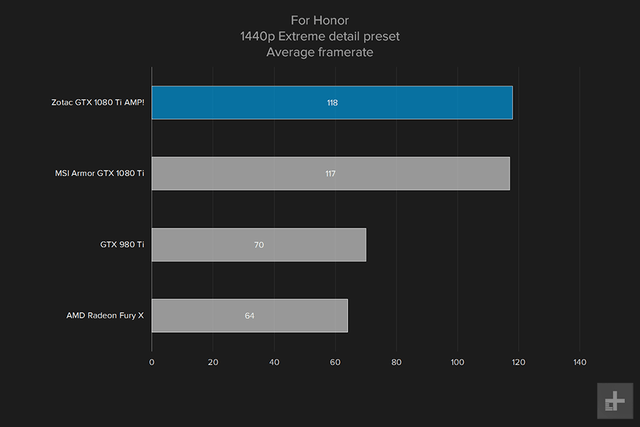 Both cards completely thrash the previous generation’s 980 Ti and Radeon Fury X, which should come as no surprise to anyone familiar with the standard GTX 1080’s performance level. With framerates well over 100 in a number of modern games, the GTX 1080 Ti is more than powerful enough for high-refresh 1080p and even 1440p panels. Our Zotac GTX 1080 Ti AMP! comes with a two-year warranty against manufacturer defects. This tends to vary by brand, but MSI’s Armor only carried a one year warranty, while the Asus Strix RX 580 had a full three-year warranty. Two years is more generous than most, and there’s a third year extension available. Nvidia’s GTX 1080 Ti is the most powerful consumer GPU ever, and Zotac’s AMP! edition refines that edge with premium features and solid overclocking, all for $720 (or less) at most retailers. It’s easily the best equipped card at the price, which makes it a strong contender for those seeking the absolute best performance possible. That doesn’t mean the case is closed, and Zotac’s offering is far from alone. Nvidia’ reference GTX 1080 Ti typically sells for $680, which gives it a minor price savings over the Zotac’s AMP! Edition. 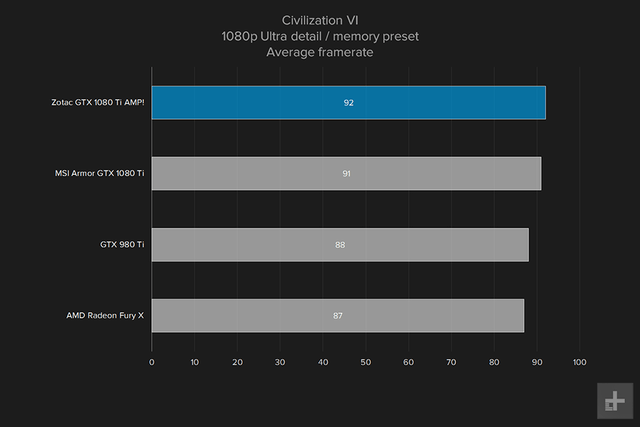 However, the Zotac model has an overclocking and a solid cooler, so we think it’s worth the extra cash. 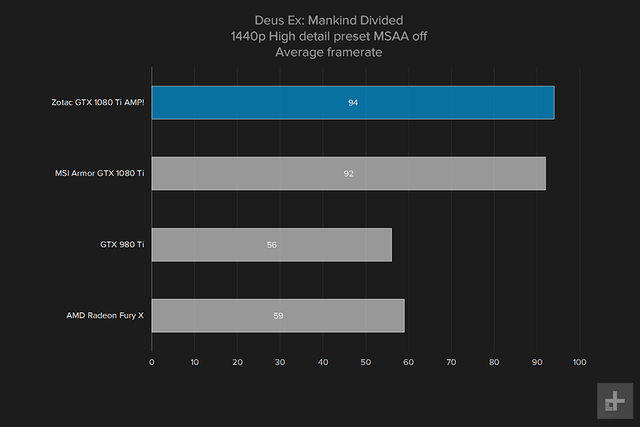 Of course, most buyers will be comparing the Zotac GTX 1080 Ti AMP! Edition to other customized models – and it still holds up well. 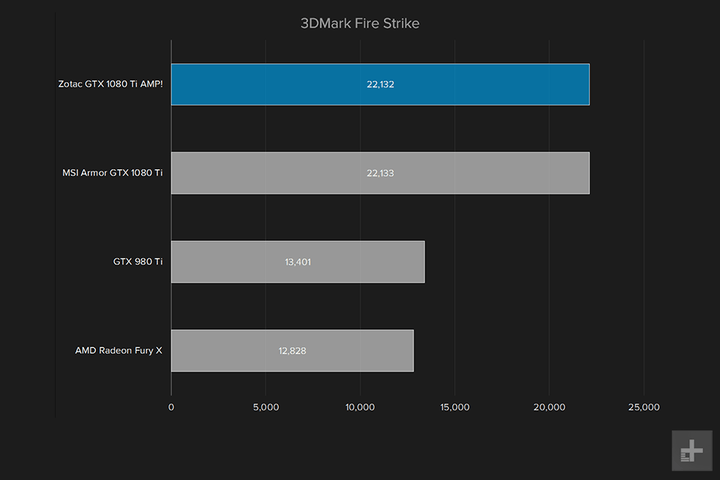 Zotac’s overclock is competitive with other cards in its price bracket. 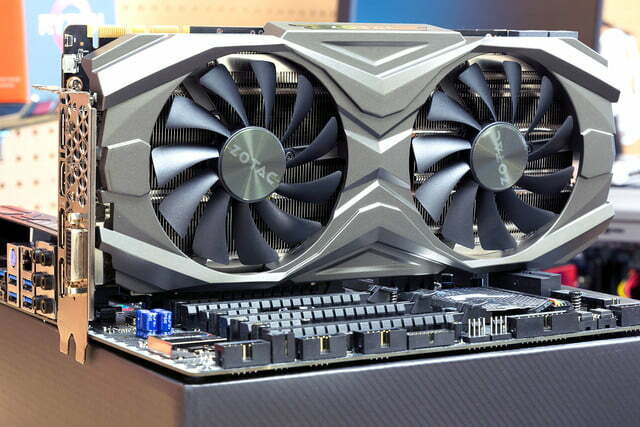 And while it’s very large, the Zotac model is as gargantuan as some models from Gigabyte (though, to be fair, Zotac does offer a massive top-end AMP Extreme model). 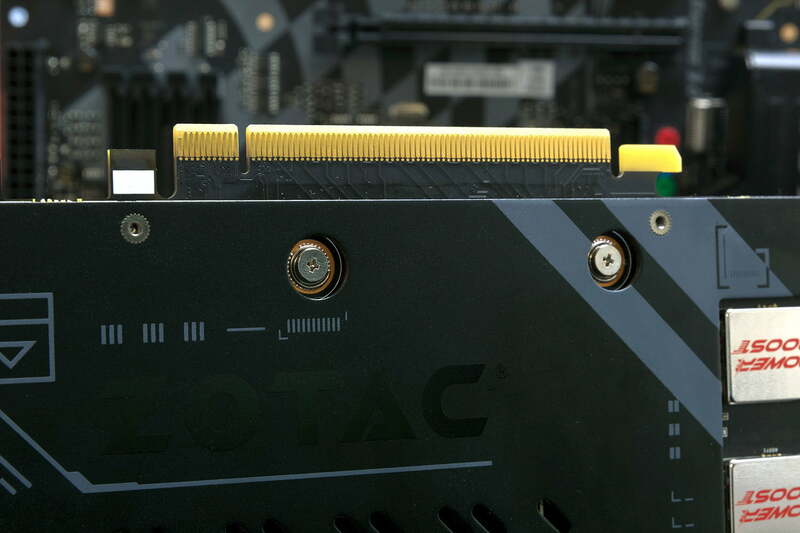 We do recommend the Zotac over MSI’s Armor edition. While we liked that card well enough, its design was uninspired, and it was barely overclocked over stock. Zotac’s take offers more. EVGA’s GeForce GTX 1080 Ti SC Black Edition is probably the Zotac’s fiercest competition. 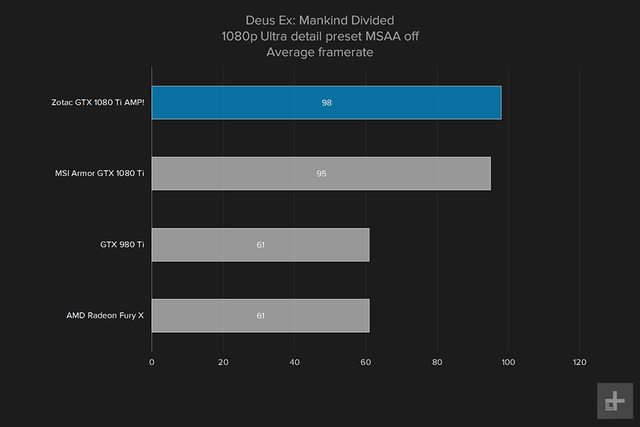 EVGA has a strong reputation, in that card is priced almost identically. However, the Zotac AMP! 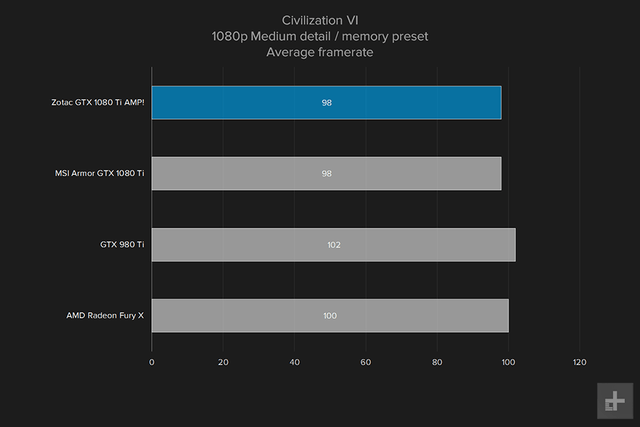 Edition does offer a marginally faster overclock. We have not tested EVGA’s option, but we think choosing between it and the Zotac will likely come down to which is on sale at the time you make your purchase. 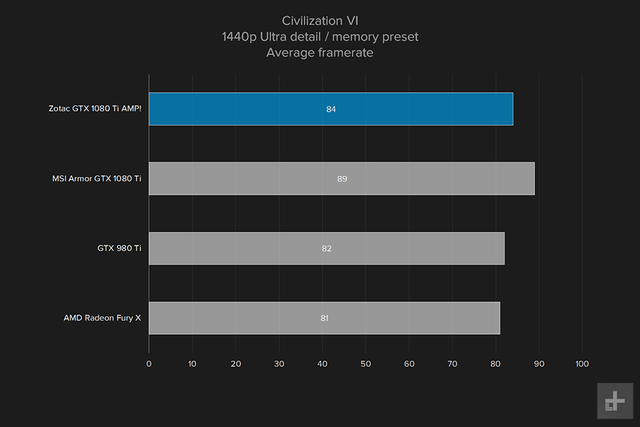 By spending as much as possible on a GPU, users are essentially ensuring that this graphics solution will stand the test of time. 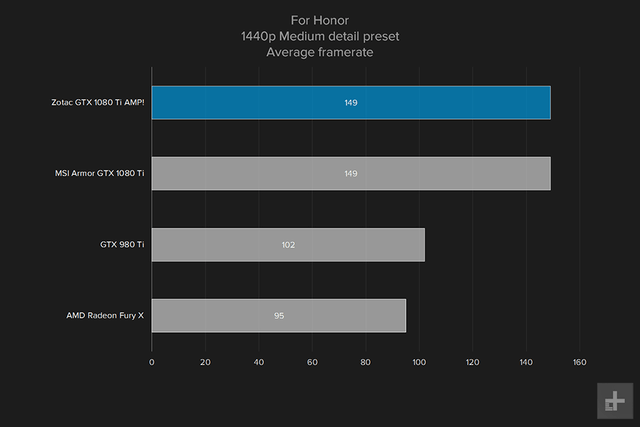 The performance is more than enough for most modern, high-refresh rate monitors, which leaves plenty of room to go as game demands do the same. Zotac also covers all its graphics solutions for two years, which is better than most cards, and only falls short of offerings from more expensive board partners. Yes. Zotac’s AMP! series cards have always presented a great balance of performance, high-end features, and modest overclocking, and the GTX 1080 Ti rendition is no different. It does so well under the price of competing cards, and there isn’t much else you could ask for when it comes to selecting a GPU.